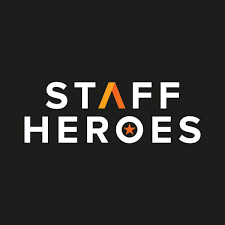 Laurent Gibb, Mark Elwig and Zekki Mirza founded Staff Heroes in early 2016. This fully automated contingent staffing platform has the potential to transform the whole temporary/agency staffing model. When Andrew first came across the company in autumn 2016, it had already successfully completed first-round funding and was working with a wide array of individual businesses, as well as a small number of very large enterprise clients. Staff Heroes’ challenge was to accelerate its market penetration of large-scale enterprise clients and to raise funds for the accelerated expansion across geographies and other industry sectors. To identify potential investors for their second, EIS-qualifying, funding round. The results have been terrific to date, with an initial four C-Suite executive introductions all leading to Staff Heroes being awarded pilot sites to demonstrate the power and effectiveness of their market-leading, fully-automated contingent staffing platform. And with the second round of funding now closed, the five investors Andrew introduced to Staff Heroes have all made investments in this round, totalling over 20% of the funds raised at this stage. The steps involved in this successful engagement with Staff Heroes have now been captured and refined to form the content of the SerTech Lab ‘Pitch Ready’ process. Contact us today to find out how you can become part of the next chapter of the SerTech Exchange story.